The landmark CALERIE study reports that cutting calories by 15 percent slows down an aging metabolism and may help protect against age-related diseases, such as Alzheimer’s, Parkinson’s, type 2 diabetes, cancer and other ailments. The researchers published their results on March 22 in the journal Cell Metabolism. The researchers found that calorie restriction decreased systemic oxidative stress, one of the nine hallmarks of aging linked to age-related diseases. Calorie restriction is the practice of slashing calorie intake while maintaining proper nutrition to improve health. The spartan regimen includes consuming sufficient amounts of vitamins, minerals, and other essential nutrients, typically by taking a vitamin supplement. While it sounds unpleasant, a growing body of evidence suggests the practice fights disease and adds years to one’s life. In addition to sustained calorie restriction in the CALERIE study, there are also forms of intermittent fasting, such as the fasting mimicking diet. Although classic calorie restriction is defined as a 20% to 40% sustained reduction in calories, the study participants in the CALERIE trial could only obtain 15%, at best. In the second phase of the trial, the researchers followed 53 healthy, non-obese adults between the ages of 21 and 50 for more than two years. Redman and her colleagues monitored these underfed people as well as normally fed study participants – used as controls – for signs of oxidative stress and changes in metabolism. Weight loss was not the goal of the CALERIE trial. Instead, the researchers are studying the health effects of calorie restriction. Even so, those in the calorie restriction group lost almost 9 kg, on average, although they did not follow a particularly healthy diet. The idea that we can live longer, healthier lives by drastically reducing our calorie intake is not exactly new. Time and again, researchers have demonstrated the life-extending value of calorie restriction in animals from mice to monkeys—with the implication that the same might be true for humans. 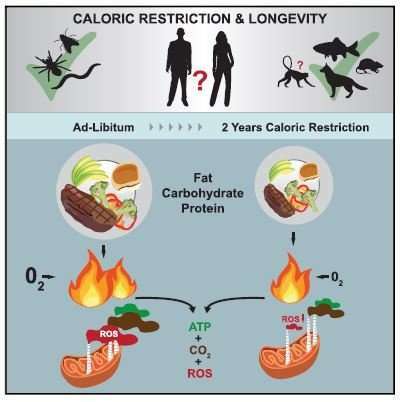 In fact, geroscientists – the researchers studying ways to slow the chronic diseases of aging – consider calorie restriction as one of the most effective ways to extend lifespan. Our metabolism slows down as we age, and this metabolic change contributes to a multitude of age-related diseases. In practice though, permanently slashing calorie intake sounds like a way to extend life by making it not worth living. Scientists have worried that calorie restriction could be dangerous, by causing muscle or bone density loss, for example. The oxidative damage theory, better known as the free radical theory of aging, ties excess production of free radicals to oxidative damage of proteins, lipids, DNA, and other cellular structures, such as mitochondrial DNA. This damage accumulates, leading to chronic diseases such as cancer, atherosclerosis, type 2 diabetes, and forms of dementia such as Parkinson’s and Alzheimer’s disease. While the trial was short in the context of the maximum human lifespan and had only a small number of participants, the researchers measured improvements in the biomarkers of aging of the subjects. The CALERIE trial will continue, the researchers say, who want to establish more robust biomarkers of human aging and examine the effects of calorie restriction in conjunction with antioxidant compounds such as resveratrol, which mimic calorie restriction. Despite its health benefits, prolonged calorie restriction is difficult to maintain in practice. 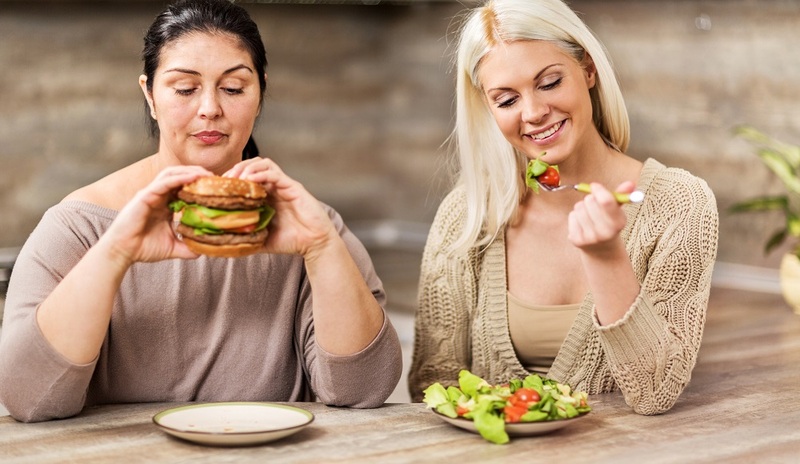 However, the latest study on the Fasting Mimicking Diet (FMD), also known as the Valter Longo Diet, suggest that on-again/off-again fasting provides many of the health benefits of sustained calorie restriction, with less suffering. Diagnosis, Treatment, and Advice: This article is intended for informational and educational purposes only and is not a substitute for qualified, professional medical advice. The opinions and information stated in this article should not be used during any medical emergency or for the diagnosis or treatment of any medical condition. Consult a qualified and licensed physician for the diagnosis and treatment of any and all medical conditions. Experimental treatments and therapies carry a much higher risk than FDA-approved ones. Dial 9-1-1, or an equivalent emergency hotline number, for all medical emergencies. As well, consult a licensed, qualified physician before changing your diet, supplement or exercise programs. 15% caloric restriction is excellent; but study done persons 21-50. Maybe should have done study persons 50-80 who actually have age related diseases. yes – it seems too broad age range – maybe they had trouble recruiting enough participants?